Case Studies / Leading Home Warranty provider slashes cost of customer acquisition by over 65% combining Rapid Performance Method and A.I. fueled predictive list modeling. 04 Oct Leading Home Warranty provider slashes cost of customer acquisition by over 65% combining Rapid Performance Method and A.I. fueled predictive list modeling. The client, a leading national home warranty provider, had tried using direct mail in the past for new customer acquisition, but had stopped mailing due to low performance. Based on competitive research they still believed that direct mail could be a useful part of their marketing mix. Other marketing channels were not scalable enough to meet growth goals, so they set out to re-evaluate what might be possible with direct mail. After a competitive RFP process, the client selected RPM to develop a new customer acquisition direct mail program. The agency was tasked with testing into a direct mail approach which would deliver new customers at a lower cost than other, existing direct-to-consumer sales channels. Phase 1: The RPM team created a series of strategic multivariate test programs using their proprietary Rapid Performance Method to crack the code for high sales performance. The strategic testing process provided the means to quickly and efficiently test and measure many different creative package concepts, copy platforms and offers. Phase 2: Next RPM found the perfect opportunity to use results from the initial test campaigns to create predictive targeting model that would create a breakthrough that could surpass all previous results and turn direct mail into the top performing channel for this client. To prove the potential of predictive modeling a focused list test program was created which included a head-to-head comparison of two competing predictive response models based on previous DM campaign responders. One test group was selected using an innovative A.I. fueled predictive marketing platform to identify look-a-like prospects. The innovative “on-demand” system rapidly built and tested many potential models, identifying the optimized combination and weighting of predictive list attributes. A second test cell was selected using another model created by a large incumbent data provider with a traditional, human statistician-led modeling process. Using only the top tier of the look-a-like models RPM identified millions of targeted consumers with the highest likelihood to respond. Both models predicted a dramatic expected lift in performance based on better alignment of target audience to the client’s offer. RPM mailed out both lists using the top performing DM package and offer from previous campaigns to determine which model selected prospect list could produce the highest lift in the final sales results. The results of the campaign were amazing! 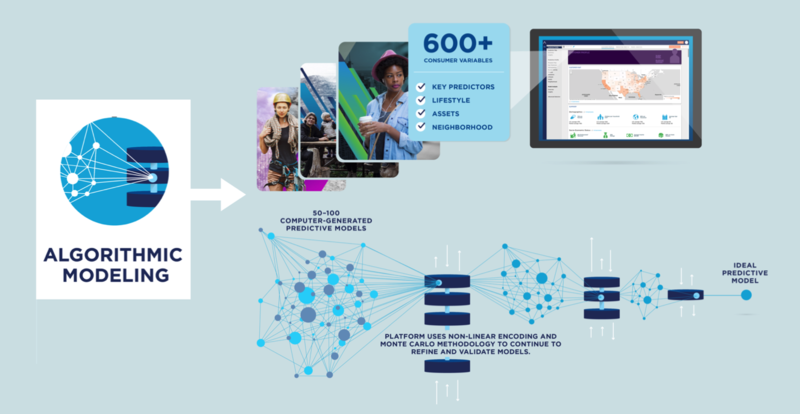 The combination of RPM’s Rapid Performance Method and predictive list modeling created a performance breakthrough and the final campaign results showed a huge success. Through the strategic testing process, the marketing team gained critical insights and steadily improved performance based on quickly identifying the best creative package concepts, copy platforms and offers. List test results were clear and dramatic. The predictive modeled list that was created using the innovative A.I. system drastically outperformed the other human built model with a 75% lift in response rate and a 43% lower cost per customer. Based on the incredible predictive power of the new modeled list selection process the top performing creative cells in the campaign outperformed the previous campaign and boosted response by over 107%. Sales conversion also improved by as much as 25%. Total sales from direct mail skyrocketed and cost per new customer dropped by over 65%. Because of the success of RPM’s Rapid Performance Method, compounded by the breakthrough using predictive model list selection, direct mail is now one of the most cost effective and promising marketing channels to drive future sales growth.